The national housing market is dealing with an issue of supply and demand right now and it’s impacting both buyers and sellers. Specifically, the national housing market has too few people selling their homes compared with the number of people who want to buy homes, according to a recent report from Standard & Poor’s/Case Shiller. This is consequently driving home prices up, which in some cases is making available homes for sale unaffordable to buyers. It’s certainly a unique situation and one that both home buyers and home sellers are going to need to learn how to navigate in the coming months. Last year saw a 13.4 percent jump in the average price of a home sold. Average prices nationally are expected to increase by single digits this year. The gains are expected to be the strongest in those cities with strong job growth, including Seattle and Austin. Meanwhile, lenders are beginning to ease barriers for those with less-than-ideal credit, meaning that these home buyers could find it easier to qualify for a mortgage and buy a home. Currently there are about five months worth of homes on the market, compared with 5.9 months in 2012 and 8.3 months in 2011. Part of the explanation of low housing inventory is the fact that about 19 percent of home owners remain underwater on their mortgages, which may deter some sellers from listing because their sales price may be less than what they owe. And an additional 37 percent are “effectively underwater,” which means that their sale would not be enough to cover the cost of listing their home as well as putting a down payment on a new home. But luckily, warmer weather, job growth and a more robust economy are expected to help encourage more home owners to list their properties this spring. Experts also believe that the rise in home prices will help the problem correct itself. After all, as sales prices continue to rise, it will lure more home owners to list their properties. This in turn could lead to more listings, which might ease the bidding wars among buyers and help lower sales prices to make them more affordable. After all, this segment of the market really fuels market growth and promotes overall market health. But right now, these first-time home buyers are buying fewer homes because of lack of affordability. For instance, they purchased 1.5 million homes in 2013, which is about 500,000 fewer than they would have typically, on average. Add to that the fact that mortgage companies have eased their lending standards slightly to reach a larger audience and you have the right conditions for a greater housing market recovery. Keeping An Eye on the National Housing Market for You! 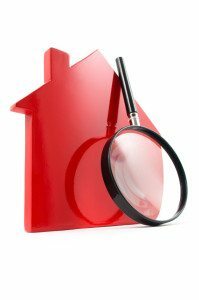 We hope you found the above information helpful as a home buyer or home seller. We definitely believe that one of the surefire ways to have a successful outcome on the local housing market is to stay informed about what’s going on at the national level. Check back again here soon for further updates. For now, we hope you have a great day! For information on our local market including the Southern Pines, Whispering Pines, Ft. Bragg, and Pinehurst areas, give me a call.